Wear your love of Fantastic Beasts and Where to Find Them with the Fantastic Beasts Film Logo T-Shirt. The latest story from J.K. Rowling charmed audiences around the globe, and this shirt features the official logo across the chest. MACUSA is the governing body for witches and wizards in the United States. 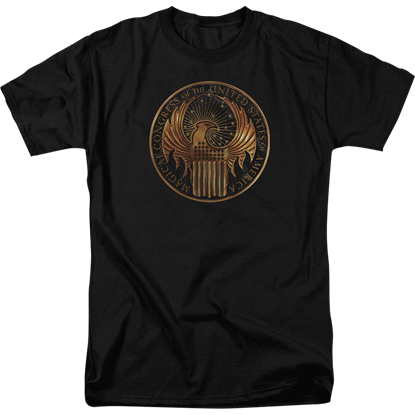 The Fantastic Beasts MACUSA Emblem T-Shirt is the perfect top to go along with the film. Made from cotton, this shirt features the MACUSA emblem on the chest. Newt Scamander was a famed Magizoologist and author of Fantastic Beasts and Where to Find Them. 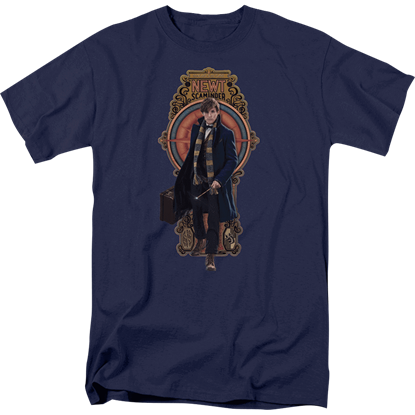 The Fantastic Beasts Newt Scamander T-Shirt allows you to show your appreciation for the work of this wizard in comfortable style. 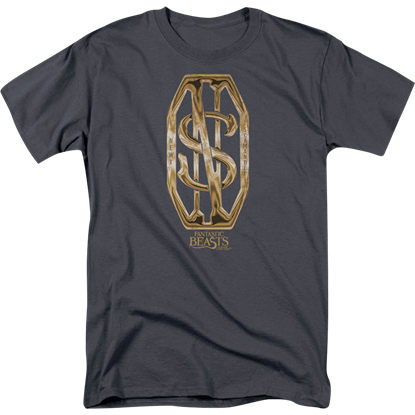 For those who admire famed British Magizoologist Newt Scamander there is the Fantastic Beasts Scamander Monogram T-Shirt. This charcoal shirt features a graphic depicting the logo of Newt Scamander from the Fantastic Beasts film. Fantastic Beasts and Where to Find Them is a prequel based on a book from the popular Harry Potter series. 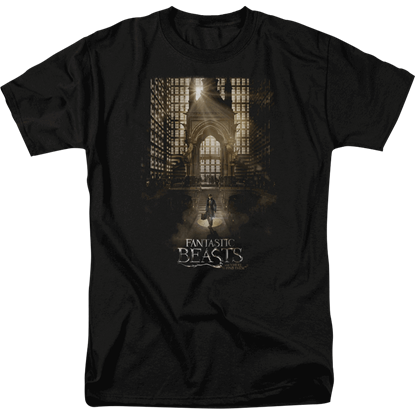 Show your love for the film and add some excitement to your wardrobe with the Fantastic Beasts Theatrical Poster T-Shirt. A difference in language can lead to confusion and inefficiency at times. 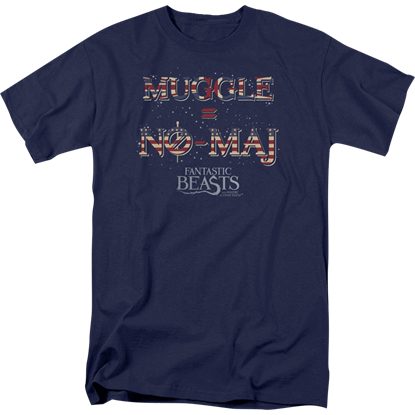 Lucky for all the witches and wizards planning to travel abroad, the Fantastic Beasts UK US No Maj T-Shirt can help translate a certain word in a pinch. The Gryffindor house emphasizes traits of courage, daring, nerve, and chivalry. 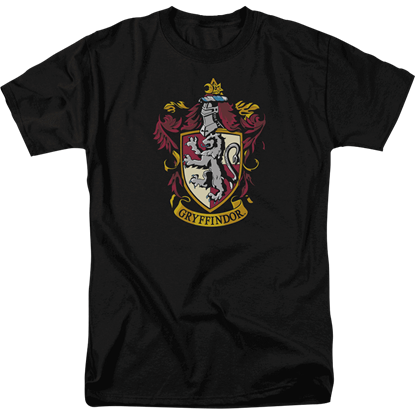 The Gryffindor Crest Adult T-Shirt is perfect for those witches and wizards who share these characteristics and have a healthy rivalry with Slytherin. 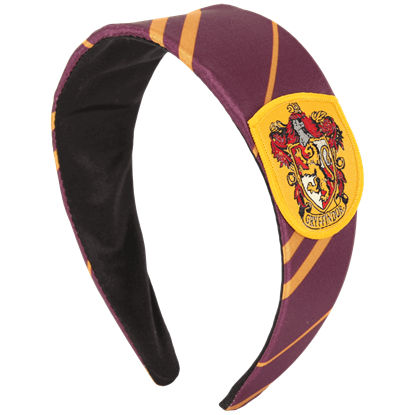 The Gryffindor Headband is ideal for keeping your hair out of the way when casting all your magic spells. This officially licensed Harry Potter accessory features a bold Gryffindor crest on one side of its striped construction. One of the three unforgivable curses, the killing curse is one of the most powerful and sinister spells known to wizardkind. 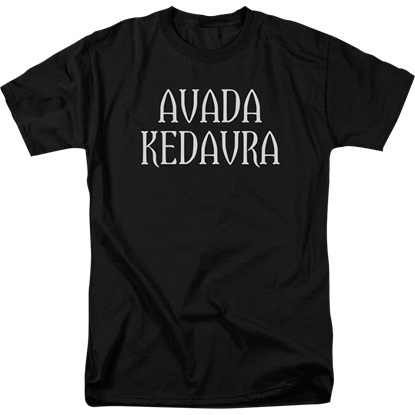 You can remind yourself of the dangers of the Dark Arts by wearing this Harry Potter Avada Kedavra T-Shirt. Gryffindor is one of the four Houses of Hogwarts School of Witchcraft and Wizardry, founded by Godric Gryffindor. 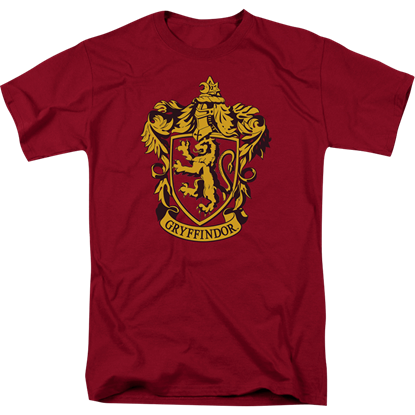 Show that you have the bravery, courage, and nerve of Gryffindor with the Harry Potter Gryffindor Crest T-Shirt. If you belong to the die-hard Harry Potter fan-group known as the Potterheads, you want Harry Potter in all aspects of your life! 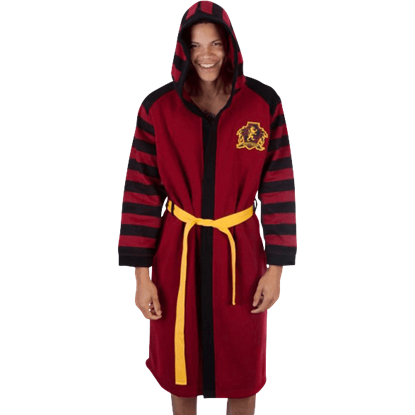 Show off that Gryffindor pride with a proper Hogwarts bathrobe. Accio Harry Potter Gryffindor Robe! Albus Dumbledore served as Headmaster of Hogwarts School of Witchcraft and Wizardry and was considered the most powerful wizard of his time. 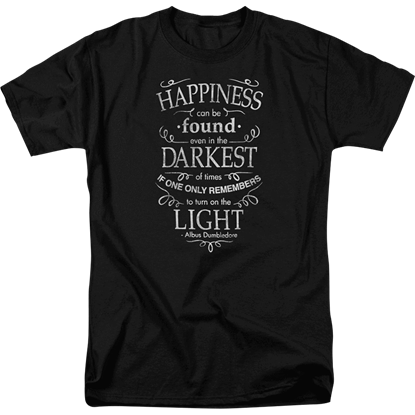 Full of wisdom, one of his beloved quotes is featured on the Harry Potter Happiness T-Shirt.